You might have heard our good news? 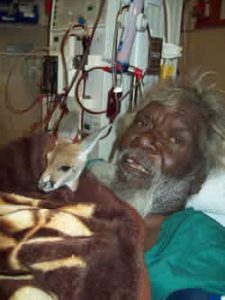 The Commonwealth government is giving us some money to build some more dialysis centres in remote communities. We are all so excited! In preparation we are on the look out for some new dialysis nurses who would like to come and work with us. And…as an added incentive, we will pay a SPOTTERS FEE of $500 to the person who introduces them to us. We’d rather pay our friends than an agency, so mates…get to it! The Purple Truck on Australian Story!